Why you may ask...... because I have done what I originally set out to do and that is get blocks 1, 2, 3, 4, 5 and 9 ready to stitch before the next issue of the Vignette in Stitches magazine hits the shops this week. I have it all up on my design wall, want to see? I am loving these bright colors, not something I would normally work with and am loving it. I have no idea how long this is going to take me now to stitch but I will guess that it will be a long time and the fact that the weather here is beautiful as we head into Spring I will not be setting myself any more deadlines on this one. It will be slow and steady with the aim of enjoying the process. The only deadline I am setting myself over the warmer months will be in relation to my Farmer's Wife Quilt ........... two blocks a week and try to keep up to date with Miss L's Once Upon a Time BOM. 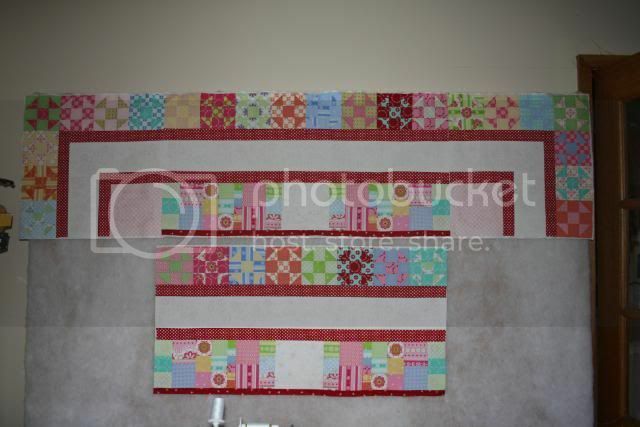 If you are thinking about starting this quilt but are a little hesitant, don't be, give it a go. Sharon, it looks lovely so far. I hear that the stitchery takes ages though! Good luck. Sharon, you are amazing, you have done such a great job in getting all the blocks ready. I am starting to piece and trace blocks 5 and 9.
found your page from the link for small blogs on Lily's Quilts. 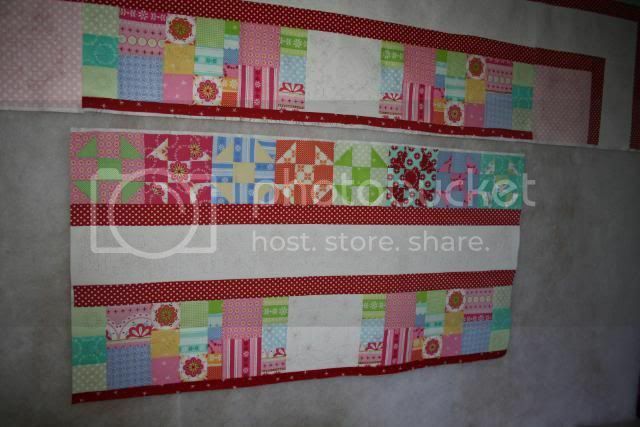 Love all your quilts and blocks. Wish I was as good.